The government of the Republic of Korea is trying to help people with low-credit and low-income. Photo credit: Korea Institute of Finance. During the past year, the Republic of Korea's financial authority has taken various measures to promote financial inclusion that aims to mitigate financial burden of low-income, low-credit class and support institutions that add to the social value. They include lowering statutory maximum lending rates, expanding policy financing and mid-rate loans, increasing loans, loan guarantees and investment for social enterprises, and stimulating roles of credit cooperatives. Due to the private sector's weak capacity to expand financing and other support for low-income, low-credit class, and social enterprises, it is inevitable that the government plays a leading role in the beginning. However, for viable financial inclusion, the market needs to take over related initiatives in the long run. During the past year, the financial authority has made vigorous efforts to promote financial inclusion, which is among four strategies for financial reform along with financial sector reform, productive finance, and stronger market competition. Financial inclusion has been promoted in recognition that financial firms have underserved people's needs in terms of providing support for low-income, low-credit consumers and taking on social responsibility. The emphasis is on providing financial services at affordable prices and supporting economic organizations that add to the social value. Accordingly, the statutory maximum lending rate was lowered, policy financing for low-income borrowers was expanded, lending at affordable rates was expanded, and efforts have been made to promote social finance. A cut in statutory maximum interest rate aims to mitigate people's financial burden. 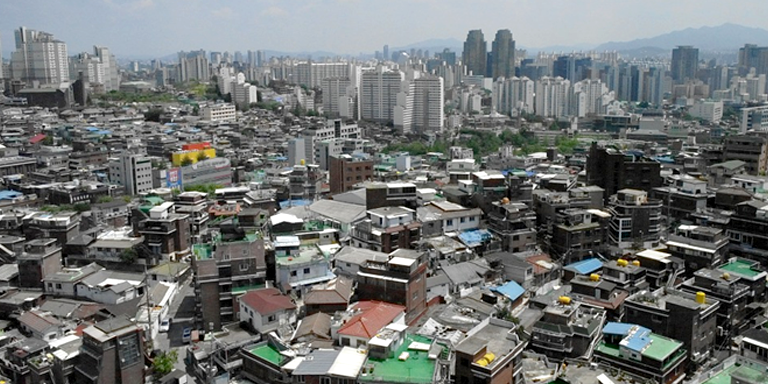 By revising enforcement degrees of the Private Moneylending Act, Financial Services Commission lowered maximum rates applicable to private moneylenders and lending institutions from annual 27.9% to 24%, and by revising enforcement degrees of the Act on Capping Interest, Ministry of Justice lowered maximum rates applicable to personal money transactions over 100,000 won from annual 25% to 24%. To alleviate the possible adverse impact of tightened low-credit, low-income borrowers' access to private moneylenders and other non-bank lenders, the financial authority introduced loans available for this segment of consumers. Safety net loan is a loan for low-credit, low-income borrowers who cannot roll over loans taken out from private moneylenders or non-bank lenders, or who have balloon-payment loans at the interest rate over 24% and lack means to repay them at once. With the new loan, these borrowers can repay loans borrowed at rates over 24% in the amount up to 20 million won. At the same time, broad inspections have been made between February and April this year to thwart illegal lending practice, in addition to the operation of a call center to handle such malpractice. Expansion of policy financing support and affordable loans has been pursued to help consumers with a restricted access to bank loans due to poor credit rating or lack of collaterals. The supply of policy financing including the four policy loans (Miso Credit, Sunshine Loan, New Hope Seed Credit, and Conversion Loan) and safety net loan has risen from 4.7 trillion won in 2015, to 5.1 trillion won in 2016, 6.7 trillion won in 2017, and expected to reach 7 trillion won this year. Also, to fill the gap in the lending market, affordable mid-rate loans were introduced in July 2016; its supply amounted to 2.15 trillion won in 2017, and expected to reach 3.15 trillion won this year. To further expand the supply of affordable loans, incentives such as eased regulation on the minimum share of the main business―which was formerly applied to only savings banks―would be extended to specialized lending firms and credit cooperatives as well. Other efforts are also underway to develop more mid-rate loans and enhance credit evaluation by facilitating the use of big data and simplifying a process of information sharing within a holding company. Lastly, financing support is expanded for social enterprises which have a restricted access to formal lenders due to the different governance structure and management methods from typical corporations, despite their social value. Social economy indicates economic activities in all areas that add to social value―e.g. stronger social service and welfare, job creation, community development―by producing goods and services in principle of cooperation, solidarity, and mutuality among members of a society. These activities are known to narrow a wealth divide, stabilize job market and mitigate problems of aging society. Thus, the current administration is promoting the growth of the social economy as one of national agenda and plans to implement various measures to improve their access to financing. Accordingly, Korea Inclusive Finance Agency plans to gradually expand loans to social enterprises from the current 5 billion won to 8 billion won annually, and more private-sector project companies―only four are operating in Seoul currently―would be set up across the country. A new account to support social enterprises would be established at Korea Credit Guarantee Fund, which has expanded loan guarantees for social enterprises and cooperatives from 6.6 billion won in 2017 to 40 billion won in 2018, and plans to further increase the amount up to 500 billion won in the next five years. The Fund also plans to provide new loan guarantees for village corporations. By including them in the account for social enterprises, the fund plans to increase maximum guarantees and special treatment until a separate account is set up. Additionally, a social investment fund worth maximum 100 billion won in the next five years―30 billion won in 2018―would be built, drawing funds from Growth Ladder Fund and private-public matching funds, to invest in social enterprises. Ministry of Employment and Labor has been managing a social enterprise fund since 2011 and would expand the fund to invest in village corporations as well. Impact funds that invest in social venture would be established in the amount of about 100 billion won, and to promote social enterprises' access to crowdfunding platforms, restrictions on the length of business operation would be scrapped. Also, 5 billion won of a new fund would be established within Growth Ladder Fund this year to facilitate crowdfunding for social enterprises with a solid growth potential. To strengthen social responsibility of financial cooperatives and community financial institutions, Credit Union would install a fund worth 10 billion won annually to support social enterprises, and revise related laws so that the union can invest in social enterprises. KFCC also plans to pool funds and work with community credit guarantee funds to extend guaranteed loans to social enterprises. Although the government is currently leading initiatives to serve financing needs of low-credit, low-income class, and social enterprises, in the long run, it is important that market players take over in promoting financial inclusion. For instance, when a policy loan borrower with a good repayment record wants to take out additional loans, a private financial firm that extends those loans may be given an incentive such as more quota to handle policy loans. Given that social economy is a private-sector endeavor to address various social problems that are hard to tackle at a government level, receiving public financing support is at odds with their nature; thus, in the long run, it is advisable that the government steps back and provides support such as enhancing infrastructure and regulation for social finance. Safety net loan is an amortized loan at rates of 12~24% with maturity up to 10 years, extended to borrowers whose annual income is 35 million won or lower or 45 million or lower and credit rating of six or lower, who took out a loan before 8 February 8 2018 at annual rates over 24% and have a remaining maturity shorter than 6 months, or who have been repaying a loan at annual rates over 24% for one year or longer. The loan is 100% guaranteed by National Happiness Fund, exempted from early repayment fee, and the lending rate is cut by maximum 3%p every 6 months for borrowers who repay in time. Savings banks are required to maintain the share of lending to SMEs and individuals at 30~50% of all lending; and a weight of 1.5 is applied to mid-rate loans in calculating this ratio. Specialized lending firms are required to keep the share of lending in assets tied in main business below 30%, and a weight of 0.8 is applied to mid-rate loans in calculating this ratio. Credit cooperatives are required to keep the share of new lending and bill discounts for non-members below one-third of all new lending and bill discounts. And a weight of 1.5 is applied to mid-rate loans extended to members. The maximum loan guarantee for social enterprises and cooperatives has been raise from 100 million won to 300 million won, and the maximum loan guarantees in special cases (e.g. lack of financial statement) was raised from 50 million won to 100 million won for social enterprises, and from 30 million won to 50 million won for cooperatives. Social venture is defined as an innovative firm with good growth potential that pursues financial profits and addresses social problems at the same time. Currently, only SMEs that have been operating for 7 years or shorter (venture firms are exceptions) can receive crowdfunding.